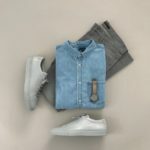 Have you ever confused what to wear with which colors shirt or t-shirt with which color of denim jeans? Today, I am going to post a few maroon colors outfits combination with denim jeans, This is an idea purpose what to wear with when maroon t-shirts or shirt. 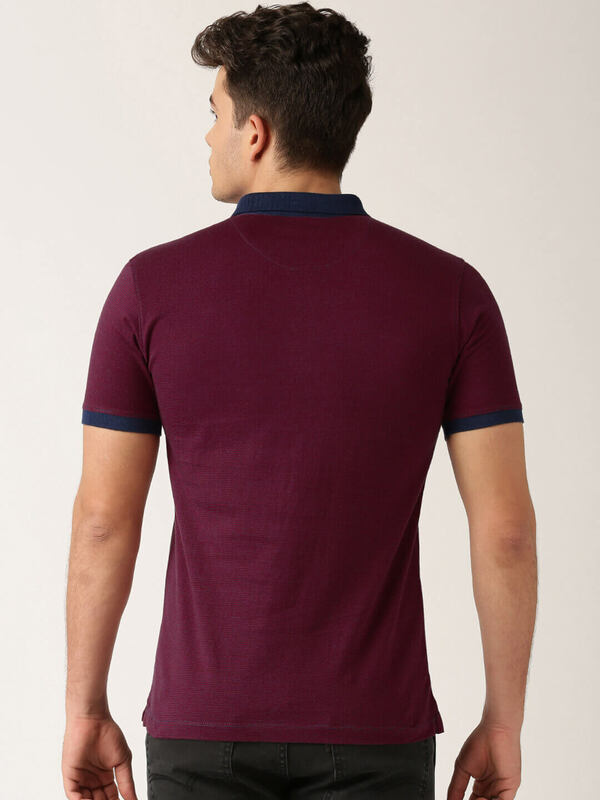 The maroon color is attractive and stylish color also hot favorite colors all-time in Men’s collection. 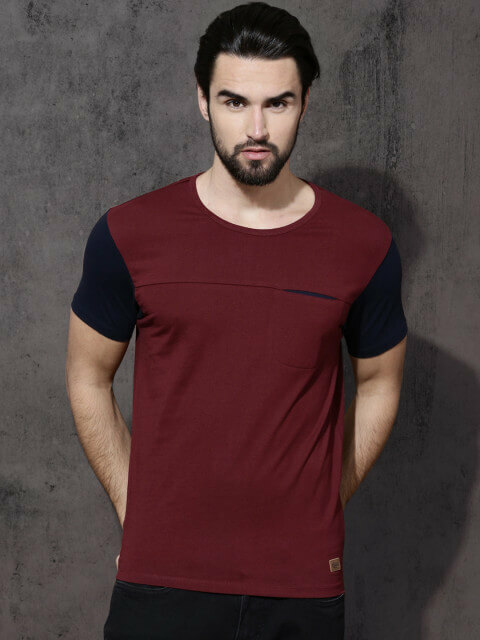 Maroon t-shirts you have no idea which denim color wear. 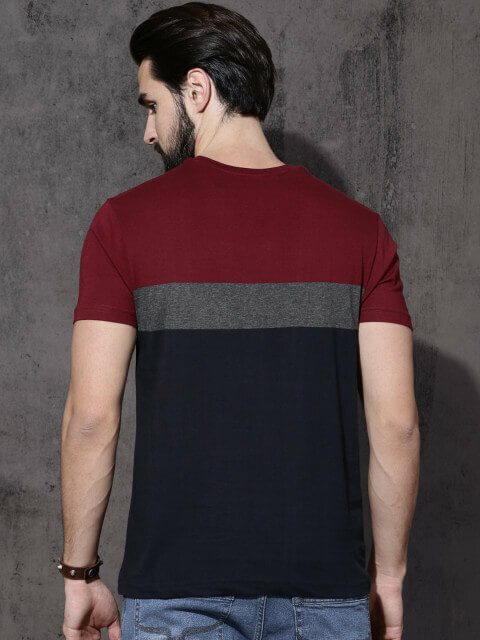 MAROON FULL SLEEVE T-SHIRT WITH WEAR BLACK DENIM. 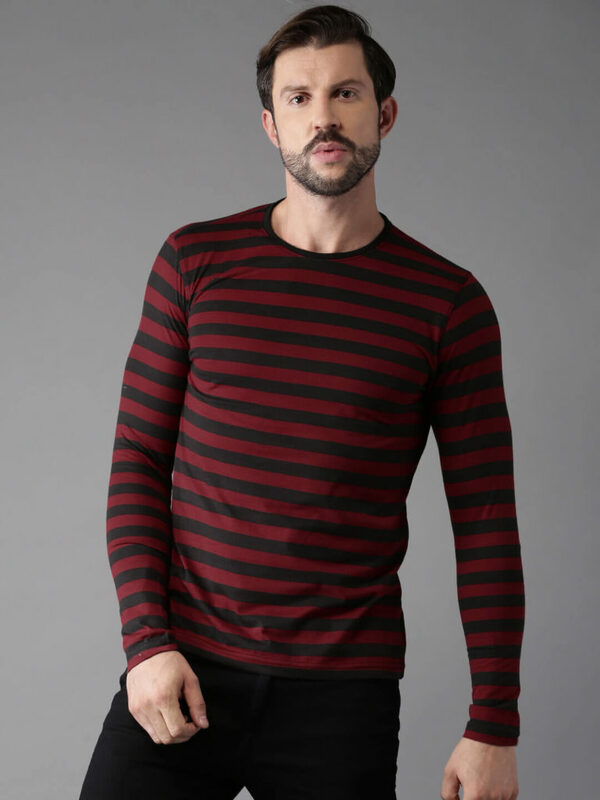 Round neck maroon long sleeve t-shirt will look attractive in summer also. If your fair skin color this is the best outfits for you. 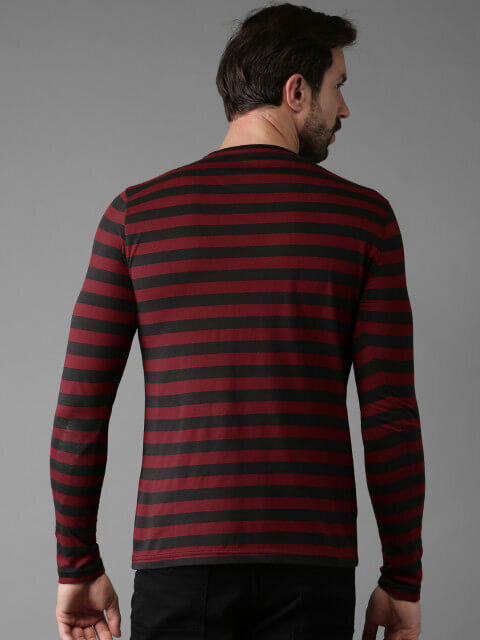 With this type of maroon long full sleeve t-shirt, you can wear black denim jeans. Black is the only color which fit with all colors Because it’s dark. There is at least one black jeans collection always available in Mens wardrobe. 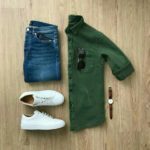 Full sleeves are the high demand in the men’s fashion many men want to wear full sleeves t-shirts style with denim jeans. Polo style is the most wearable style from it’s beginning not just for polo games but polo pattern is stylish. Plain Polo t-shirts are more comfortable when you are going outside with girl-friend. Girls love the polo t-shirts on men’s outfits. 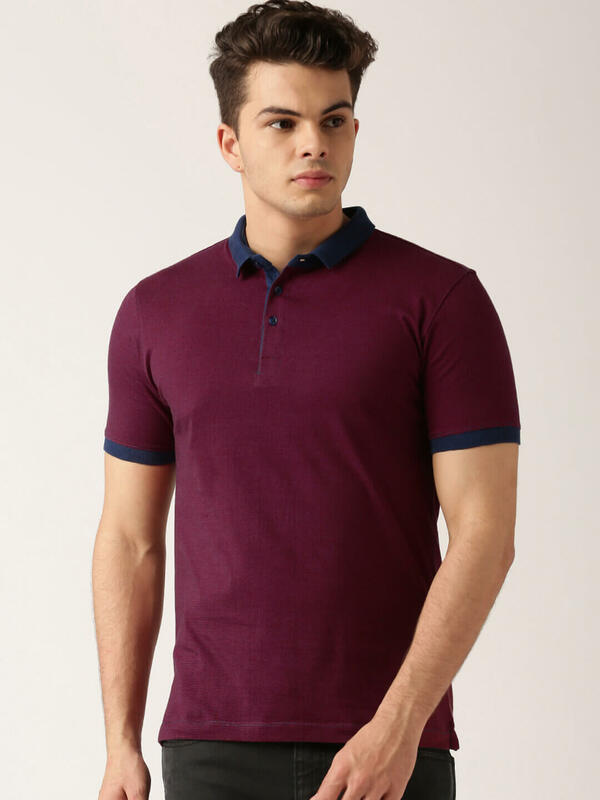 With this maroon cotton polo t-shirt, you can wear two colors of denim jeans one is the black denim jeans and the second is blue denim jeans. 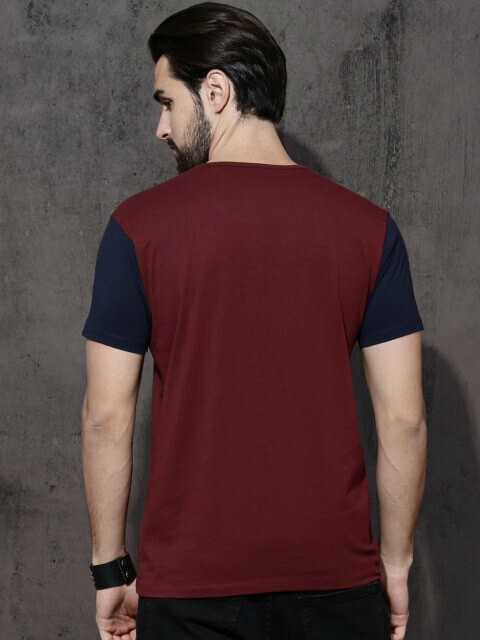 Sleeves and Collor color is the blue so you can easily wear the blue denim jeans with this types of maroon t-shirts. You can also wear the graphics print or striped polo t-shirts with denim jeans. 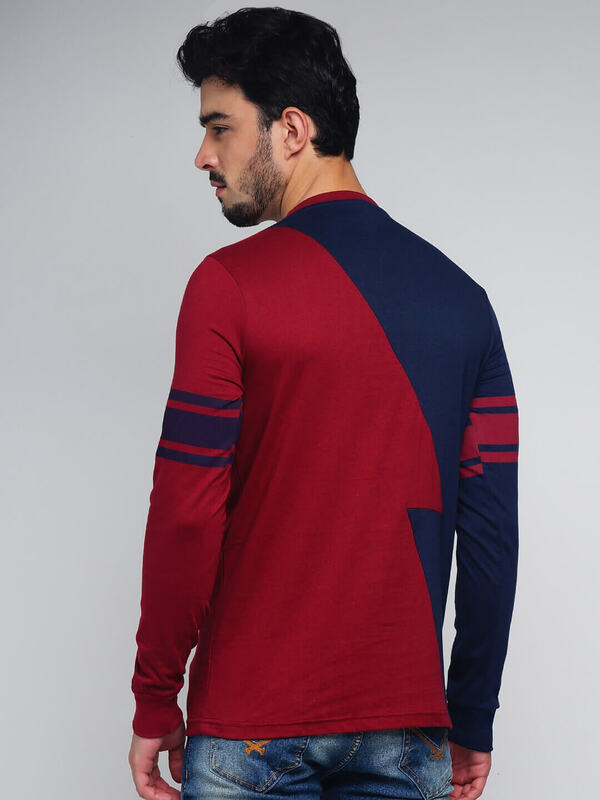 Dual colors of a maroon family with navy blue color round neck and long sleeves t-shirts. A maroon color comes from the red colors family. Yes, if you think the colors of family you read correctly. If you add the black colors in the red then the maroon color will be made it. 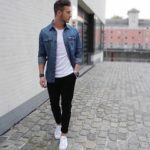 You can wear this dual colors types of long sleeves t-shirts with blue denim colors just like below inspiration images. You can also wear the white sneakers shoes with this outfits. Men love to wear a Plain t-shirt in dual colors. 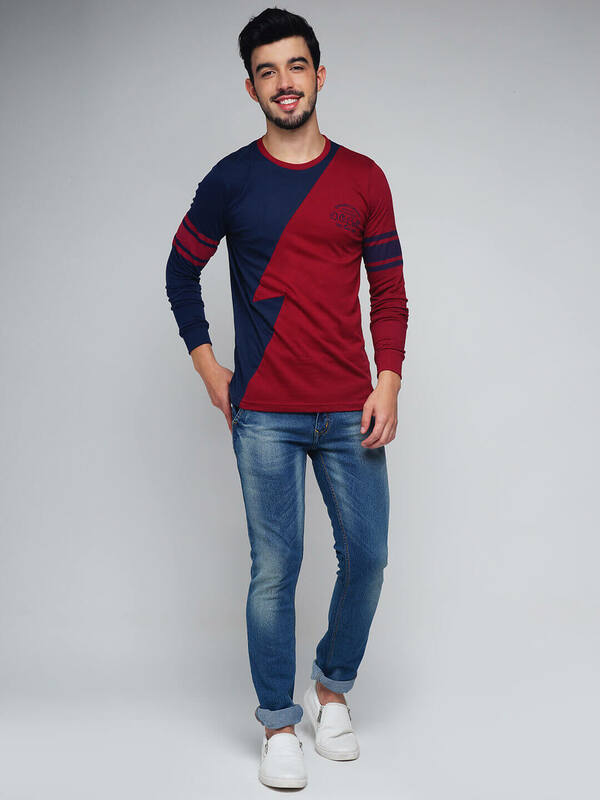 Blue half sleeves with under pocket style round neck maroon t-shirt wear with black and dark or navy blue denim jeans. Both denim colors are hot and trendy in the fashions. 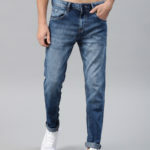 Men’s have the black and blue denim jeans in their wardrobe always. You can wear the White or blue sneakers shoes on this outfits. Triple color style maroon, grey, and a navy blue cotton t-shirt. 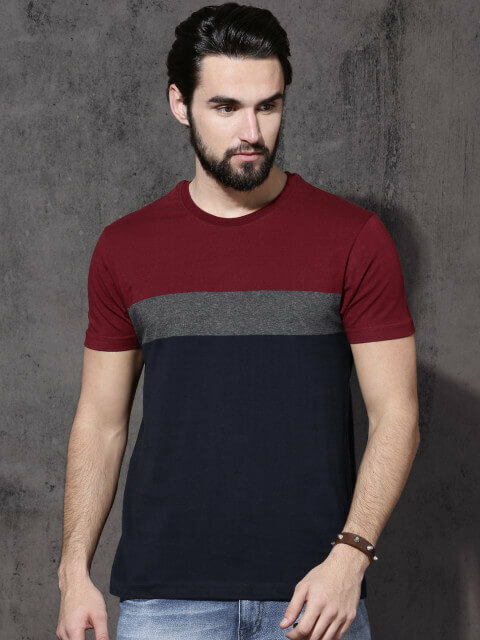 This types of round neck t-shirt you can wear on light blue denim jeans or washable blue denim jeans. If you wear on the dark blue denim jeans which do not look perfect a outfits style goes disaster. Always wear contrast colors of outfits for looks smart and stylish.